The year of 2018 saw constant price uptrend in China’s butadiene market. Prices of feedstock butadiene were even higher than those of downstream products, weighing on downstream producers for almost half years. In 2018, China’s butadiene supply continued to rally, and newly added capacity was estimated at around 250kt/a. Moreover, imported butadiene resources declined from previous years, and some Chinese-made resources were exported in Q2 and Q3. The whole operating rate at downstream enterprises was low. In particular, private synthetic rubber enterprises almost shut down all units in Q2 and Q3. Yet, China’s butadiene prices still remained in an uptrend. Therefore, major downstream industries suffered negative profits. In the next five years, there will be newly added butadiene units going into production in China, and most of them are large-scale refining-chemical integration projects. The designed butadiene capacity will shock the supply pattern of China’s butadiene market. In 2019, newly added capacity at downstream industries will be relatively limited, thus China’s butadiene import market will see some changes. The whole butadiene price will move with new trends as well in 2019. Based on 10-year professional research experience in China’s butadiene market, SCI will formally launch 2018-2019 China Butadiene Market Annual Report via combining theory with data and macro with micro analysis. 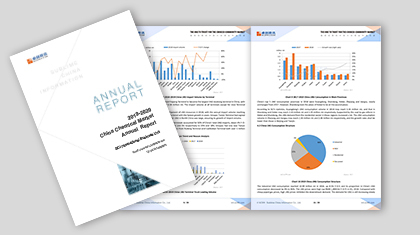 The report mainly puts emphasis on the supply-demand evolution of China’s butadiene market by virtue of detail data such as price, profit, operating rate, capacity, output, consumption volume, ports inventory and massive graphical analysis, in a bid to help market participants grasp market trends, evade investment risks, enlarge operation profits and achieve business strategic targets. 1. To analyze butadiene industry supply-demand balance from 2014 to 2023. 2. To analyze butadiene industry supply evolutions and inner reasons from 2014 to 2023. 3. To analyze butadiene major downstream industry developments and reasons from 2014 to 2023. 4. To analyze the profits between butadiene and its downstream industries, as well as the industrial chain value.